Here's a classic. 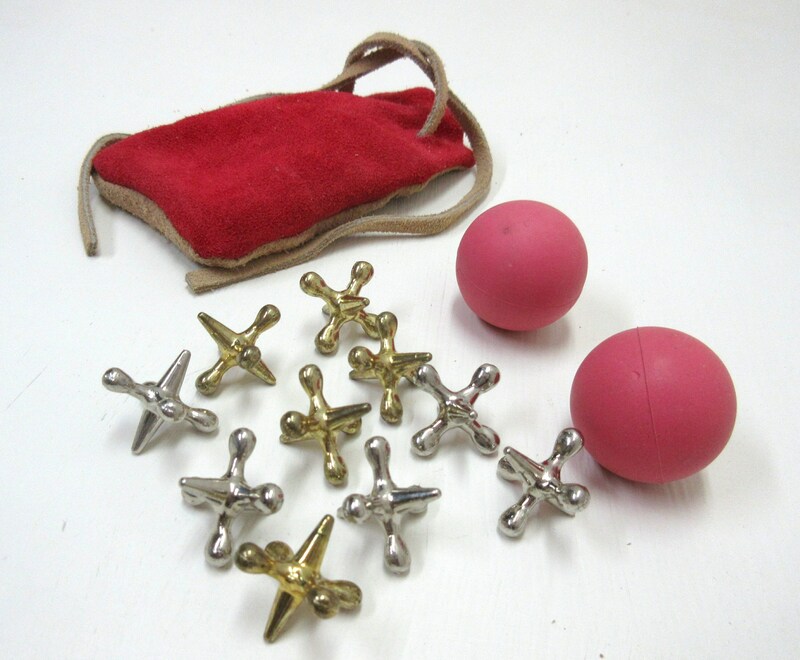 You're looking at a high quality set of 10 jacks and two balls that are used to play retro game from the old days. Enjoyable and fun! I remember the girls playing jacks during recess while the boys played touch football. 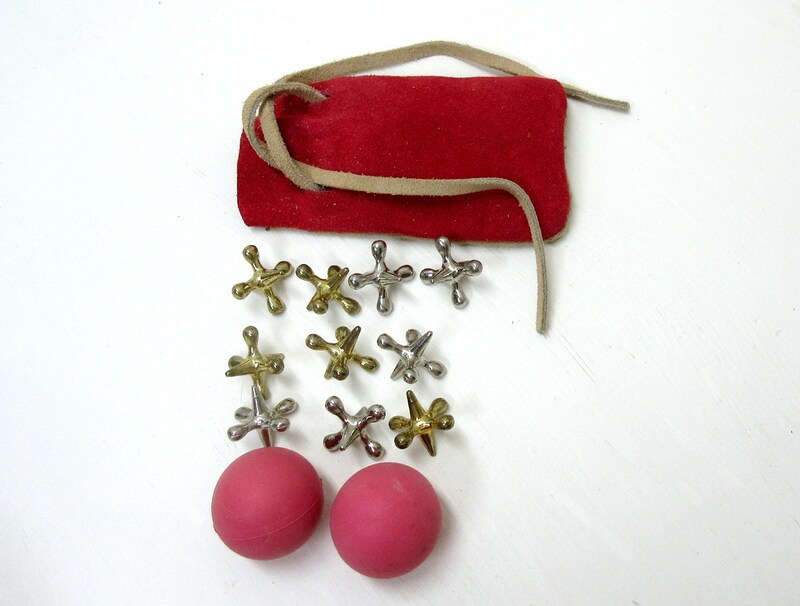 You're getting 2 red bouncy balls, 5 silver toned jacks, 5 gold toned jacks and a leather pouch to carry the jacks and balls. The jacks are sturdy and the gold and silver coloring is an nice feature that sits these jacks apart from others. Adults and children alike will enjoy this classic, portable game also known as onesies, knucklebones, jackstones, jackrocks and fivestones. 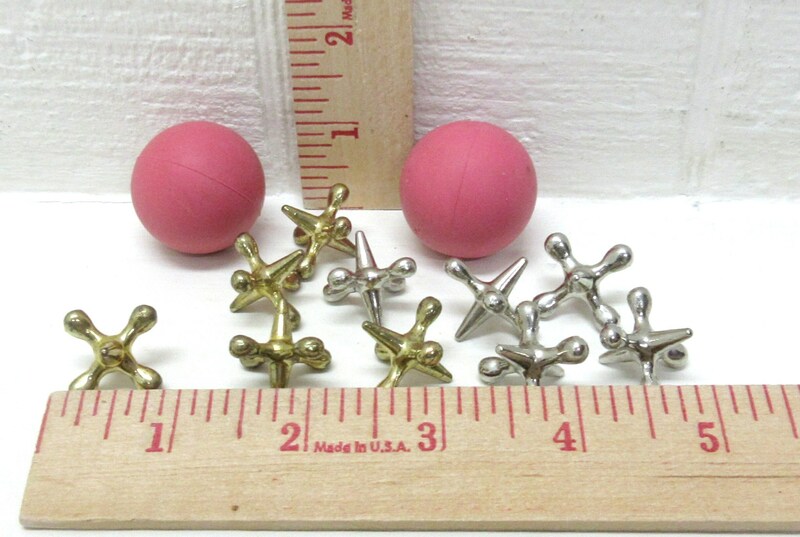 The balls measure about 1-1/4" in diameter. Jacks are about 7/8" in size.